Standard swimming pool services include maintaining and adjusting your pool water chemistry. 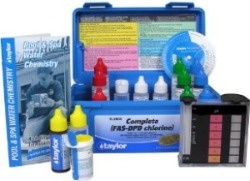 The following items are the basics to test for when checking your pool chemistry, in the order of importance. 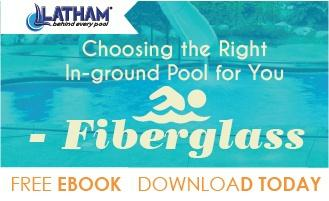 If you have proper FC levels in your pool, it will be clean, clear and safe to swim in. If your FC drops you are liable to get algae growth. TA is the water's ability to buffer pH changes and is also a forecaster as to what is going to happen to pH in the future. Low TA will cause pH to jump in & out of range, while high TA will cause pH to rise. 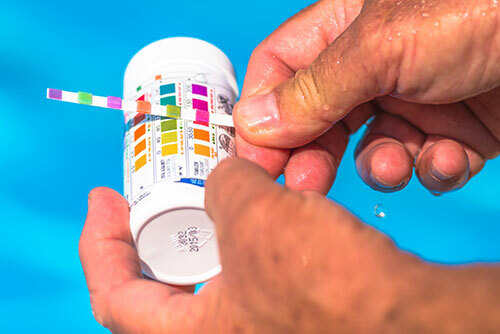 The pH level will determine if your pool water chemistry is acid (low) or basic (high). Red, irritated eyes generally happen at 7.0 and under. You can raise pH by aerating the water, thus not needing to use any chemicals. CYA is often times called conditioner or stabilizer as it helps hold the FC in your water and prevent it from being burned up by sunlight. Higher CH levels can lead to scaling within the pool. Phosphates are food for algae and bacteria. Come in many different configurations on what is tested, recommended to get one that tests as much as possible at the same time. Phosphates generally have their own test. This method will test each individual item with a specific reagents to give a reading. This method is much more accurate and will give you better results than the test strips, however it will take a little longer until you get the process down. The relationship between pH and total alkalinity (TA) is the most instrumental one that resides in your pool water chemistry. Don’t try to change the pH unless the TA is in the correct range. The first correction is always TA, then you address any pH issues. Not all chemicals are created equal. Discount chemicals that you find online or at a big box hardware or convenience store are often times full of junk. Literally full of additives that don't to anything for your pool water chemistry, but allows them to sell more of a weaker product for less. The products you get from your local pool store (especially APSP members) will have more active ingredients that will adjust the pool chemistry is a positive manner. Make sure you know what you are getting as some products can be blended or can adjust 2 chemistry readings. Some chlorine tablets contain CYA so you can add both FC and CYA, but over time your CYA level might be to high. Some powder shock can contain CH, once again raising your CH higher than the accepted levels. Liquid shock has a pH of 10, so you can raise pH a little every time you shock your pool. If you are having troubles or can't seem to get your pool water looking great, call your local pool contractor that offers swimming pool services. They will have a more extensive knowledge base on pool chemistry, saturation indexes, and overall experience to handle certain issues that arise.